Researchers presented key risk factors that can help identify patients at risk for acute exacerbations of their chronic obstructive pulmonary disease (COPD), at the 2015 American Thoracic Society International Conference. In the study, a total of 2,489 adults with COPD taking tiotropium and/or short-acting bronchodilators alone or in combination were studied using retrospective data from the COPDGene study and prospective data from the telephone and web-based biannual Longitudinal Follow-Up program. 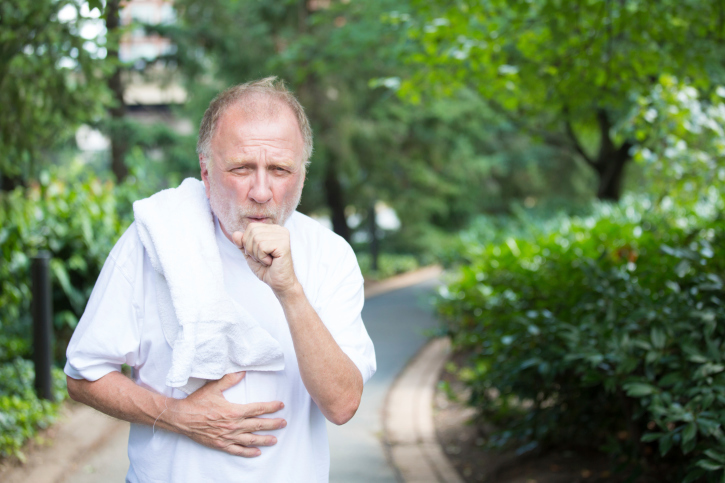 Patients were classified by the frequency of acute exacerbations of COPD. Significant identifiers such as gastroesophageal reflux disease (GERD), being female, and certain scores on the St. George’s Respiratory Questionnaire (SGRQ), were linked to exacerbations of COPD in patients using long-acting controller medication. There was also a trend toward lower rates of exacerbations in patients taking tiotropium vs. a long-acting bronchodilators/inhale corticosteroid combination. Patients in both groups demonstrated similar characteristics, such as forced expiratory volume in one second, six-minute walk distance, percent emphysema by CT scan, and pack-years of smoking.